Welcome to Boy Scout Troop 1001, Richardson, Texas! This is the official website of Troop 1001 of Richardson, Texas. It is designed to help you learn more about our troop, its activities and programs, and see where we have been and where we are headed. The troop meets Mondays from 7:00 - 8:30 p.m. (except summer months and Mondays following a campout), at Trinity Bible Church, 400 West Campbell Road, across from Richardson Regional Hospital. 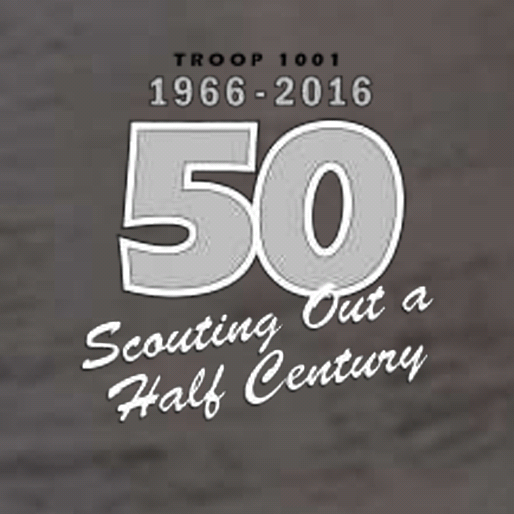 Visitors please read the About Us page to learn more about Troop 1001. Questions? Fill out the Contact Us form. Troop members may log in to view the calendar, see important announcements, and retrieve activity forms, among other services. Troop 1001 members: you must log in to see most of the information here. A message with your user ID and password was sent to your email address when your account was created. When you receive it, please log in right away and change your password to one you will remember by clicking on the My Profile link at top left. Still having trouble? Read Can't log in? for next steps. Rainey’s Ranch is April 12 – 14 and we will have shotgun range, rifle range and fishing. This weekend is full of free time on the ranch. Form up at 5:30 Friday 4/12 at TBC. BE PREPARED FOR RAIN. Forecast is for cool weather and rain starting Saturday early getting heavier through the afternoon/evening, so all campers should have the appropriate gear. Scouts & Parents, please sign up under one of the seven work groups at the website below. “Do or do not there is no try.” “Ready are you” to serve in the all church work day. Join the Rebellion as your favorite Star Wars character while we care for our facility. We will have a diverse list of projects for all levels. Jedi masters and young padawans are welcome.May the force be with you. The May campout is to Corpus Christi and the USS Lexington. Please register and pay $100 deposit by April 29 in order for us to get a solid count for planning purposes. The Scouts will live aboard the USS Lexington for two nights, hold a Court of Honor and participate in activities on the ship and around Corpus. Final payment due May 13. Show up for camp card sales in front of Lowe's! Show up for Camp card sales in front of Tom Thumb!